When you lose your grandfather, it is one of the saddest experiences you can go through. He guided you as a child, taught you how to live and was one of your closest companions. 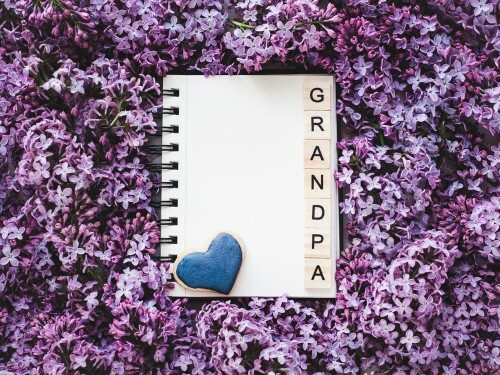 Even though he may have passed on, these happy birthday grandpa in heaven messages can help you honor his memory. Instead of feeling depressed, use this day as a time to celebrate his fulfilling, inspiring life on earth. Somewhere, he will hear the happy birthday grandpa in heaven messages and know just how much you still care for him. 1. Your birthday might be here, but you are nowhere to be seen. As much as I wanted to send you an amazing gift and plenty of cake, I know that I can’t. All I can do is wish upon a star and hope that that star will carry my love to you, wherever you are in heaven. Happy birthday, Grandpa! 2. Today is your birthday in heaven, so I have to send my blessings and best wishes on the wings of a dove. Today, tomorrow and for always, you are constantly on my mind. Everything I see or do reminds me of you, and I just wish that you were here to share all of my stories with. Happy birthday, Grandpa! 3. While you may only be with us in spirit, I know that you are still a part of my life. Learning to live a life without you at my side is one of the hardest things that I have ever had to do. I find myself praying more often in the hopes that my prayers reach you. A true friend and loving mentor like you is impossible to find. I just wish that we could celebrate your birthday together one more time. Today, I will treasure and remember each of the birthday memories that we shared together on earth. Happy birthday, Grandpa! 4. May the angels sing to you with joy because today is your birthday! I hope that you hear this and know how much we love you. Everything I do reminds me of you, especially on your birthday. Wherever you are, Grandpa, I hope that you have a birthday that is as amazing as you are! 5. The saddest thing of all is that you had but one life to live. You easily had enough love to fill dozens of life, and I find myself missing you terribly on your special day. It depresses me that I could not spend more time with you in life. Happy birthday, Grandpa—we will meet again someday. 6. Although we miss you more each day, today is especially hard. On your birthday, it sees like the only thing that we can do is think about you and wish that you could be with us. Wherever you are in heaven, we wanted to wish you a happy, joy-filled birthday. You deserve it! 7. When I was small, I ran to you with each cut and bruise. You consoled me when I was hurt and supported me in each of my dreams. While I cannot run to you for help in person, I know that you still hear all of my prayers. Today, my only prayer is that you are happy and enjoying heaven. Have an amazing birthday, Grandpa! 8. Today, we lit a birthday candle at your grave. We miss you so much. When you first left us, it felt like we could not miss you anymore. It turns out that we were terribly wrong. The angels are so unbelievably blessed to get to have you at their side. Happy birthday, Grandpa! 9. I remember all of the games that we used to play when I was small and all of your jokes. You were not just a grandpa—you were truly my best friend. Every year, your birthday is a reminder of all of the lessons you taught, happiness you gave and love you inspired. Happy birthday, Grandpa! 10. I miss you more and more each day since you left. On today, I miss you most of all because it is your special day. Even through you are not here to celebrate, I hope that the angels throw an amazing party in honor of you. Happy birthday, Grandpa! 11. I miss you terribly today. You were my grandpa, mentor, chief supporter, best friend and number one fan. Now that you are in heaven, remembering your birthday fills me with sadness. I love you and miss you, Grandpa. 12. Today, I find myself shedding so many tears. It feels like we last hugged yesterday, but it’s been so many tears. I know that you are in a better place, so have a happy birthday—you deserve the best. 13. I just wanted you to know that I remember all of the lessons you taught me. I think about your smile, sense of humor, warmth and laughter every day. Heaven is truly lucky to have an angel like you. Happy birthday, Grandpa! 14. We have gathered together on your birthday to celebrate all of the amazing memories that we have of you. Even though you left us years ago, it still isn’t easy to move on. No one could ever take your place. Have the best birthday in heaven! 15. 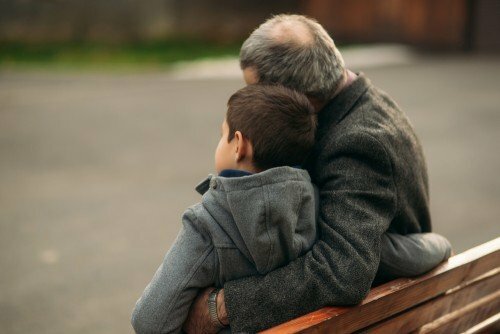 No grandchild ever wants to let go of their grandpa. On your birthday, I think back to all of the memories we shared together. I love you and hope that the angels are throwing an amazing birthday bash for you right now. Happy birthday! 16. You molded me into the person I became. Because of you, I am a better person in life. You may be several generations older than me, but you showed me that we are just the same. As we celebrate your memory on your birthday, I shed a tear of sadness that I can’t hang out with you today. Have a wonderful birthday, Grandpa! 17. I miss you so much every day, but especially on your birthday. I still look at photos of you every day. The memories of you will never die—they just came to an abrupt, un-wished for end. There is so much more that I wish I could know about you. Until we meet again, I will have to settle for just wishing you a happy birthday. 18. As my grandfather, you taught me so many things in life. You taught me how to love reading and to sing with joy. I am so thankful for all of the memories that we were able to share together. On your birthday, I just wanted you to know how much I still think about you everyday. Happy birthday, Grandpa! 19. Here is sending you amazing birthday wishes in heaven. May all of your dreams and heavenly wishes finally come true. We miss you so much. Have an extra special birthday! 20. Since we are not able to celebrate your birthday together on earth, I am sending you birthday wishes in heaven. I hope that you have an amazing birthday with all of the angels! 21. My dearest Grandpa, on this special day, I just wanted you to know how much we miss you. While we celebrate your birthday on earth, I hope that you are dancing and rejoicing in heaven. Have an amazing birthday, Grandpa, we miss you so much! 22. On this special birthday, may all of the angels gather to sing and celebrate with you. Always remember that we think of you constantly and love you dearly. Happy birthday, Grandpa! 23. Whenever I look back, I see how you shaped all of my favorite memories. Now, these amazing memories flash through my mind as I celebrate your birthday today. I just miss you so much. Have an amazing birthday in heaven! 24. Friends like you are hard to find, but grandfathers like you come around once in a lifetime. While your memory is always on my mind, it is especially so on your birthday. Knowing that you are happy in heaven is my only consolation to not having you here today. Happy birthday, Grandpa! 25. May you have a blast in heaven as the angels celebrate your birthday! Have some fun, but keep that halo on and don’t do anything I wouldn’t do. Happy birthday! 26. Here’s to a wonderful birthday in heaven! Thank you for being not just a grandpa, but a friend, mentor and counselor to me. I treasure all of the memories that we had together. 27. You were an amazing person that blessed the earth with your presence. Now, the angels get to enjoy all of your blessings. Have an amazing birthday in heaven, Grandpa! 28. Rejoice! It is time to celebrate my grandpa’s birthday in heaven! On this special day, we all gather together to remember the birthday of the most amazing person to ever walk this earth. Happy birthday, Grandpa! 29. On the day you were born, the earth received the most amazing gift ever. On the day you died, heaven received the most amazing angel. Happy birthday in heaven, Grandpa! 30. Today is a special day in heaven because it is my grandfather’s birthday. While he is no longer with us, we will celebrate his memory—I’m sure the angels are already throwing an amazing bash in his honor. Happy birthday, Grandpa!